The Bramble cocktail is gin based, with some nice summer fruit flavours and served over crushed ice in a low ball glass. This Bramblin infusion takes around 2-4 weeks to infuse (I left mine for just over 2 weeks). When finished, it’s pretty special. The Bramblin has a fruity, sweet berry taste at first, thanks to the blackberries and the sugar. This is followed shortly after by the bitter kick of the lemon zest and the sharpness of the gin. It’s lovely and well rounded I’d say. Serve it on the rocks, straight, as a liqueur or with tonic, a slice of lemon and ice. The recipe for the Bramblin is below – let me know in the comments what you think, or any improvements you’d make next time. I think this will be an infusion I repeat in the not too distant future! 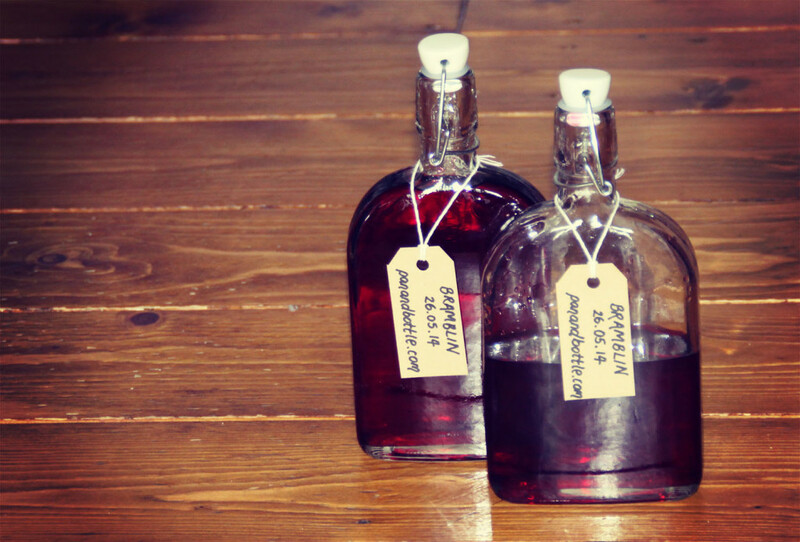 The Bramblin - an infusion take on the classic "Bramble" Gin based cocktail. Thoroughly wash and sterilise a 1l mason jar or equivalent. Wash the blackberries well to ensure any dirt or pesticides are washed off. Carefully peel the zest off the lemon using a sharp knife. Add all ingredients to the mason jar. Leave at room temperature indoors for 2-4 weeks, or until the flavour is to your liking! This infusion can easily be taken straight on the rocks, but if you want to make it a little sweeter and a bit more of a liqueur, try doubling the amount of sugar used!